My previous post generated a very interesting debate among a group of aspiring online home business entrepreneurs I met with last week. 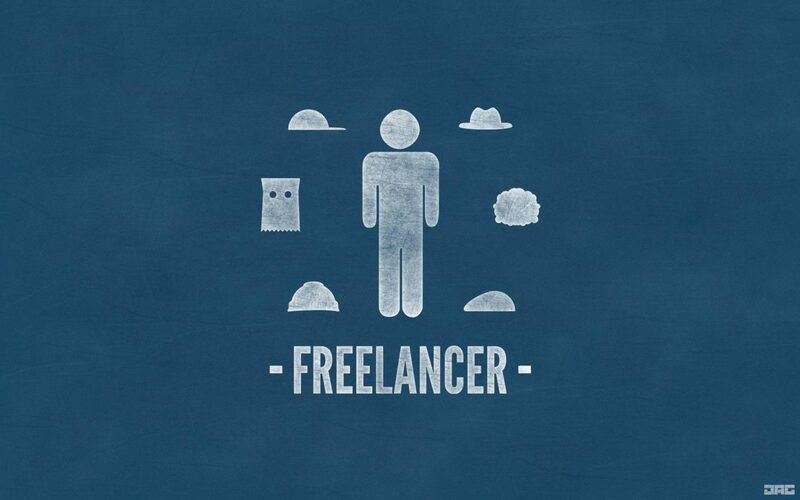 This debate centered on the question “Who is a Freelancer? In a way, it was my making. I should have defined the term ‘freelancer’ in my post. So today’s post seeks to do just that, define the term ‘freelancer’. Plus we look at the great opportunities a noticeable expansion in the freelance career field presents to those willing to cease on it and build a 6-figure freelance career as online home business entrepreneurs. The word “free lancer” was perhaps first coined in 1819 by Scottish writer Sir Walter Scott in his novel “Ivanhoe”. Ivanhoe, by the way, formed the basis of the Robin Hood character as it exists today. In the referred novel, Scott described Italian and French mercenaries as “freelances”, meaning they were free men who offered their services (skills with a lance) to wealthy land owners and would fight on their Lord’s behalf against groups loyal to other noblemen. These were similar to the private security firms the US and NATO employed in the Iraq and Afghanistan wars. Since 1903, the Oxford English dictionary recognized the term “freelance” as a verb from where it passed into everyday parlance serving variously as a noun, adjective and adverb. As a freelance online entrepreneur, you can operate from anywhere of your choosing. This could be in the basement of your house, by the beach, your camp cabin or anywhere you feel comfortable at with your computer and Internet access. In fact, these days, you can today even operate your 6-figure freelance career from your smart phone, your tablet or laptop. And you work at your own pace offering your services on hourly, daily, or per task basis not as a regular employee by an employer. Freelancing is therefore nothing but a flexible way of selling your expertise and/or professional capabilities in the market via the Internet. As online businesses expand, so do freelance opportunities increase in the market making freelancing a field of enormous demand. According to a 2009 statistics published by the US Department of labor, approximately 7.4% of the US workforce (10.3 million workers) is on independent contracts. The report also indicates that because of cheap human resource available in many developing countries around the world, offshore outsourcing and crowd sourcing have also become frequent. Between 2006 and 2009, for instance, US companies were said to have increased their outsourcing by 22% on the Internet. The result is a boom in freelance career opportunities and its mounting scope is manifested in the areas of copywriting, editing, indexing, software development, proof reading, website design, advertising, open innovations and many others. Ever expanding prospects of online business entrepreneurship create golden opportunities in the field of freelancing. There is never a better time than now to get in and create your 6-figure or even 7-figure freelance career. There’s no doubt today that most (major) world economies continue to struggle under the effects of the global recession. There’s equally no doubting the fact that millions of formerly gainfully employed workers remain unemployed without any good prospects of finding new jobs. The good news however is that freelance careers are expanding. And as they expand, they provide smart freelancers great opportunities to build highly successful online businesses working from the comfort of their homes. Look out for my next post which discusses the highly lucrative area of freelance writing. We’ll also look at some steps you can start taking immediately towards building your 6-figure freelance writing career. Don’t miss your copy, sign up for my free weekly newsletter, Global Success eTips today. NEXT POST Next post: Entertain Your Audience in a Way They’ll Never Forget!